Is time for the ACT Government to act to overhaul the community contributions scheme? Poker machines have been under pretty regular discussion in the ACT ever since the 2016 election. 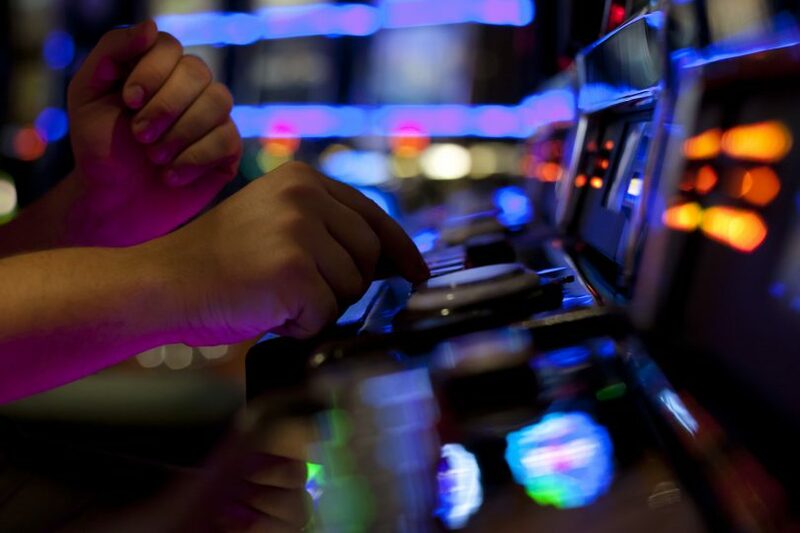 Since then, divisions have emerged among clubs in Canberra, and groups including the Canberra Gambling Reform Alliance have been discussing how pokies should be regulated to reduce the amount of harm they produce in the Territory. In 2016-17, $168 million was lost on pokies in the ACT. The Canberra Gambling Reform Alliance (CGRA) was formed last year by a group of community groups and individual advocates who had growing concerns about the impact of gambling harm in our community and a view that there weren’t enough community voices entering into the conversation. One of the issues that CGRA has identified as needing urgent attention is the community contributions scheme. This is the scheme designed to return some of the profits of pokies back to the community. This is a core component of the deal struck between clubs and the government, where pokies have until now been restricted to community clubs. In exchange, clubs are required to make a minimum level of community contributions equal to 8% of the club’s Net Gaming Machine Revenue (this is calculated as player losses, less tax and a 24% allowance for venue operating costs). In 2016-17, this amounted to 4.5% of Gross Gaming Machine Revenue being directed towards the community contribution scheme. CGRA is concerned that the scheme no longer delivers an appropriate level of benefit to Canberrans, particularly given the level of harm caused by this form of gambling. While CGRA recognises that these contributions are highly valued by the groups who receive them, the funds delivered through the scheme are not adequately working to prevent or repair the damage caused by gambling on the pokies. Other groups, including the ACT Auditor General and Monash University academic Charles Livingstone, have also raised concerns. Finally, there are concerns that the activities the scheme funds do not match the communities expectations of ‘community benefit’. According to Livingstone’s analysis, around 70% of all community contributions go to sport, most of which is spent on elite and professional sports rather than community sporting activities. Only 10% of community contributions went to charitable and social welfare causes. CGRA believes that this is just not enough given the fact that gambling harm means that many individuals and families require additional support from community groups to get by. requiring that all contributions be actual money rather than the current ability to recognise in-kind contributions (which sit at around 23% of current contributions), particularly given that real profits are the result of real losses from gamblers, 40% of which we know are experiencing harm. CGRA recognises that ACT clubs may not support these recommendations, but believes that the community expects a better return on investment of the almost $12 million that is distributed by the scheme, and a better targeting of this investment given that it is made off the back of gambling activity which we know causes harm for individuals, families and the community. I think it is time for the ACT Government to act to overhaul the community contributions scheme. What do you think? 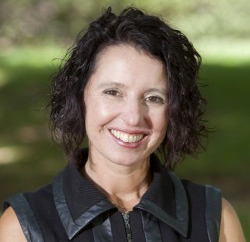 Rebecca Vassarotti is co-chair of the Canberra Gambling Reform Alliance. She was previously a board member of the ACT Gambling and Racing Commission, with a specific role to advise on problem gambling and harm minimisation measures. It’s a very complex issue to tackle as there will be unintended repercussions in the poorer parts of Canberra. Since self Government in the ACT, much of the public amenities, junior/social sports support and entertainment options in the ‘outer Suburbs’, has been outsourced to the Clubs to care for. I can’t imagine I (nor my son most recently) would have been able to afford to play sport without the support of these clubs and their Poker Machines. I have also been to many wedding’s over the years in Clubs which are much more affordable than proper Wedding venues. Same with 21st, 30ths and 40ths where you can rent a venue with bar service quite cheaply. I can attend a club gym for $400 a year, see free live music and watch the Raiders without the exorbitant cost of Pay TV. The list will go on for the thousands of people using these clubs each week. I don’t ever play the Pokies, I feel for those who lose way more than they can afford. But I don’t know if there would be clubs and amenities in the outer suburbs if the clubs had to try and compete with the entertainment options the inner city offers? Will the Government suddenly fund cheap entertainment venues in Tuggers or West Belconnen? Will they reduce sportsground rents and provide subsidised Gym equipment? Will they provide venues to host parties, concerts, get togethers and wakes? Don’t forget the other side of the coin in your push for more gambling regulation, I’m sure there can be a balance for the areas of Canberra that will suffer most from changes. All the extra rates increases on the outer Suburbs has been funnelled back for inner city developments and amenities. These are really important reflections. You have noted that gov has in some ways outsourced the funding of community infrastructure through these types of arrangements. Its similar to the concerns that have been raised in the past around governments dependence on gambling taxes. We absolutey need ways to support key activities like kids sport and sport and recreational facilities but should this come at the cost of people suffering significant harm? There are a number of local sporting clubs that are financially successful without drawing on gambling profits and we absolutely need to work together to support these activities in a way that doesn’t come at the expense of another group in our community. There are some really interesting ideas – I saw one the other day around using libraries as night time venues. As you note, they are complex issues but we have many smart people with good ideas. Its not easy of course now pokies are in play, but WA seems to do pretty well providing said community facilities without a pokie or their revenue in sight. The purpose of the scheme isn’t to reduce or pay for gambling harm it’s to provide community benefit which it does through multiple organisations who receive and rely on the funding to survive. I’d give these opinions more credit if they were coming from groups who don’t have a stated position of wanting to severely limit or ban gambling completely and weren’t conveniently suggesting that the funding be reallocated to their own groups and groups like theirs (surprise). There are some good recommendations here that need to be considered. Community contributions need to be better targeted at those in need - particularly when that need has actually been caused by gambling problems.